Who says your trade show booth has to be perfectly complete by the time the first conference attendee walks in? Not online billing service Freshbooks which hired Boston artist Jazz Martin to paint a mural on the booth during the HOW Design show in Boston. It's a bit long, but here's a time-lapsed video of the booth's creation over the course of the conference. 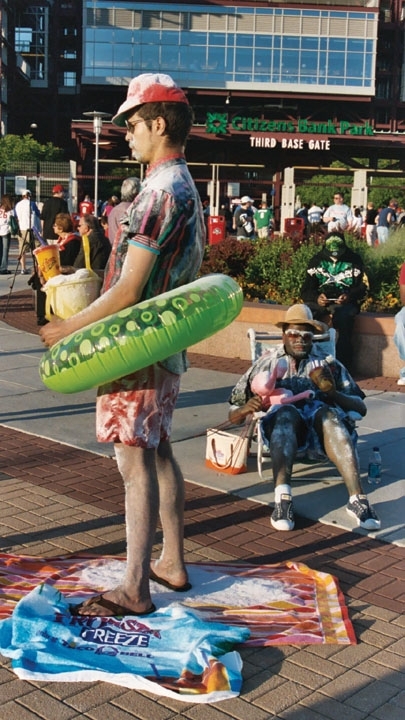 Trend Hunter has put together a stellar list of the top 40 publicity stunts. Broken into categories such as Shock, Big Stuff, Web 2.0, celebrity stunts, Fake People and Improv, favorites such as Honda's skydiving escapades, PETA's body parts, Improv Everywhere's blue shirt Best Buy stunt and Papa John's Pizza peep hole thing are featured. 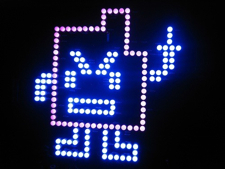 But, but but...where's Cartoon Network Adult Swim's Aqua Teen Hunger Force Boston Bomb Scare stunt? Surely, that's got to top a list such as this one. 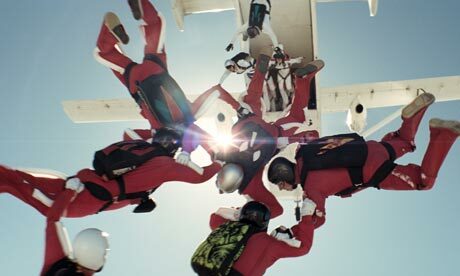 Tonight, at 8:10PM on London's Channel 4, 19 skydivers will spend three minutes and 20 seconds attempting to spell out the word Honda in Britain's first live commercial. part of Honda's ongoing skydiving campaign, the ad will appear during the reality show Come Dine With Me and, as Honda Manager of Customer Communications said, "If it works, people will know who it's for. If it doesn't, they won't." Brave simplicity. Nice. Here's hoping all 19 parachutes open successfully after the crew finishes its spelling exercise. Damn, it's almost that time there right now! Someone send us the video! Quebec's Federation of Milk Producers enlisted Touche! 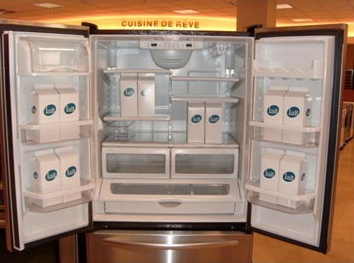 PHD to stock showroom refrigerators with milk cartons. 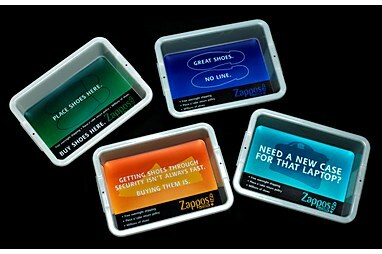 Zappos Catches You with Your Shoes Off! 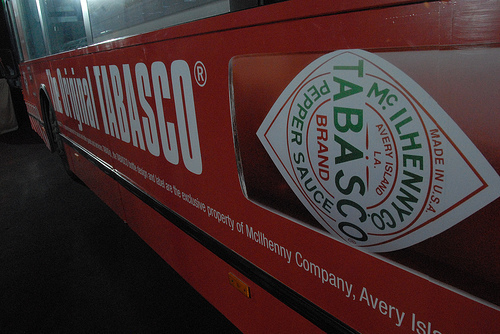 Through SecurityPoint Media, advertisers can buy ad space in airport security bins throughout the nation. Sony, Kyocera, Rolodex and Zappos have leaped at the chance to welcome your shoes, traveling coat and gutted laptop bag onto their witty little messages.